If you’re a hands-on person with solid practical trade-based skills, who relishes the challenges of problem-solving and helping others then you’d likely make a great property maintenance operative. The term ‘property maintenance operative’ is fairly broad, so for the purpose of this article, we’ll focus on repair and remediation work within the house building or insurance repair markets. As a general rule, property maintenance operatives used to require little formal education, but that’s no longer always the case and there are now more courses available than ever, with some funded by local government. Regardless of qualifications, the essential skills required include planning and organising, excellent customer service, the ability to perform under pressure, an aptitude for problem solving and a thorough and enthusiastic approach to your work. What kind of qualifications could I get? If you don’t have any formal qualifications but have already been doing the job for some time, you may want to consider a part-time course to certify your skills, such the NVQ Level 2 Diploma in Building Maintenance Multi-trade Repair and Refurbishment Operations. You can find out more information about City & Guild’s courses here. Alternatively if you’re aged between 16-21, an apprenticeship style arrangement may be a better fit for you. You can find out more here. You may also wish to specialise in a specific trade and gain qualifications such as being Gas Safe registered or gain electrical certification, and whilst this guide will look at more general multi-trade skills, you should follow your passion. There are lots! Elite is fortunate that we work for both the large national house builders and insurance repair companies, two of the most fast-paced growth areas in the UK right now! It’s an exciting place to be and, as such, trades are increasingly in demand. For those that are just starting out, if you have the right attitude and aptitude, it’s easier than ever to get your foot on the ladder. 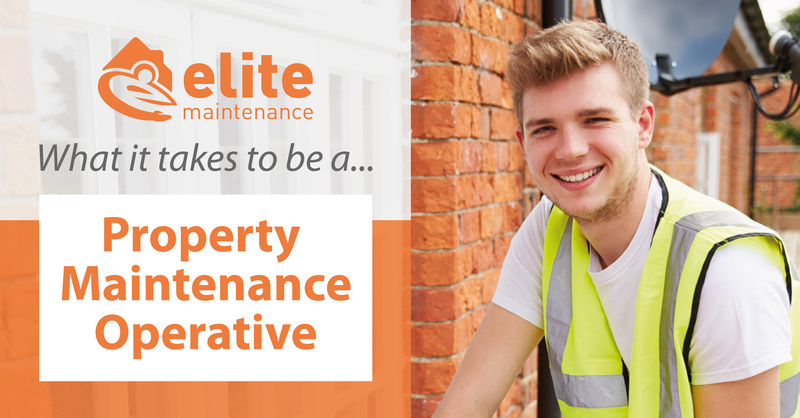 If you’ve acquired all the necessary multi-trade skills but you’re looking for your next step, why not consider becoming a property maintenance supervisor? The job does change when you step up to the supervisor role as it requires strategic planning, leadership (if you’re managing others), managing budgets, troubleshooting, technical understanding, equipment maintenance, teamwork, job knowledge and, of course, the obligatory health and safety. But it also offers the opportunity to teach others – passing on your knowledge can be a hugely rewarding part of the job and naturally there’s the increased financial rewards that come with more responsibility. It’s an early start because you’ll want to get to the address, be it a privately-owned home or construction site, on time – usually by 08:30 and that’s after hitting the rush hour traffic. Being reliable is important and something you should take great pride in. You’d usually be supplied with your own van and tools if you’re a full-time member of staff on PAYE, whereas if you’re a sub-contractor you’d be expected to supply your own tools and transport. Whilst you may have an inkling as to the type of job you’re about to walk into, when you arrive you’re expected to be a problem solver and bear in mind the job won’t always go to plan, so thinking on your feet is an essential skill. Experience does help and the more senior you become the better placed you’ll be at making decisions quickly and effectively. Sometimes the initial pressure of managing a customer’s expectation (especially when they’re frustrated that there is a problem in the first place) can make you want to complete the job as quickly as possible. However, don’t succumb to this and never cut corners! So, by now you may have guessed that customer service is key. You’re going to rely on empathy, generosity of spirit and a desire to ‘do the right thing by them’. Once you get into your stride, satisfying even the most irate customer becomes a rewarding challenge. Of course, you’ll have days where you don’t feel like smiling, but it’s important that you never let your professional manner slip as this is how you earn your own credibility, and protect your company’s reputation. Now comes the actual work! You’ll be utilising your knowledge and understanding of carpentry, electrical, plumbing and decorating trades to complete repair and remediation work, same-day if possible, whilst also demonstrating you’re capable of working to the most up-to-date health and safety legislation, identifying hazards and reducing the risk of injury. An eye for detail and a dedication to perfection is what’s required in your work! From an exact finish on a new build, to home owners requiring immediate repair work to get their lives back to normal as quickly as possible, you’ll want to earn the trust of your customers, regardless of the size of the job at hand. Managing Director, Andrew Orme said, “It’s really quite simple to become one of our property maintenance operatives providing you share our values. We’re always interested in hearing from potential operatives who believe they have what it takes to work at Elite, so why not check to see if we’re recruiting in your area?